Craigslist was created in 1995 to serve various communities across the world as classified ads. Instead of searching through various newspapers, you could post ads online and have them viewed by thousands or even millions of people. Many people have used Craigslist to sell things they no longer need, ranging from electronics to household items to cars to yard tools to furniture to clothes to concert tickets to even pets. Instead of having a garage sale and waiting outside all weekend for people to show up and hopefully buy one of your unwanted goods, you could list them on Craigslist and reach a larger audience. Today, Craigslist is still the leader when it comes to online classified ads. However, it now has some competition. OfferUp and LetGo are two apps that work like Craigslist, but they are easier to use and safer. Plus, they tend to have less spam, which is always a good thing. With OfferUp and LetGo, you can buy and sell goods from the comfort of your home. You just have to download the app on your smartphone, follow the instructions and your ad will be posted in just minutes. Ready to give these apps a try? Here is what you need to know about OfferUp and LetGo. Like Craigslist, LetGo allows you to buy and sell items locally, which means you don’t have to deal with the hassles of shipping like you would on eBay or Amazon. With 30 million users, it is more popular than OfferUp. LetGo has been featured in many commercial lately, so you may be more familiar with it as well. Like Craigslist, you can sell just about anything, including clothes, furniture, electronics, toys, outdoor tools, household goods and even cars. The app is designed to be very visual in nature. It allows you to not only post photos but also create videos for your listing in the form of movie trailers. LetGo’s review system allows others to rate you and write reviews about you as a seller. The amount of spam is not as prevalent with LetGo as it is with Craigslist. It’s also safer, since your account must be verified through Google or Facebook in order to create a profile, which you must do if you want to buy or sell items on the platform. As a buyer or seller, others can view your profile and make sure they are buying or selling an item from someone who is legit. This helps prevent scams. LetGo is easy to use. First, you need to download it onto your smartphone. It is available for both Apple and Android devices, but not available on computers. You then need to register by creating an account. You will need to use your email address, create a password and upload of photo of yourself. You can also sign up via Facebook or Google. Once this is set up, you can buy and sell with ease. On the main page, you’ll see other items listed for sale. You may want to peruse these first so you can get idea of how much to sell your items for. When you’re ready, click the “Sell your stuff” option. You’ll want to add a photo of the item you’re selling. You can upload a photo you have already taken, or use the app itself to take a picture. You then enter a price for a specific dollar amount or leave it as negotiable. You can also opt to give it away for free if you’re being especially generous. Click “Add more details” to input a title and description of the item. You can enter a description of up to 1,500 words. You can also add more photos. Using this information, LetGo will generate a title on its own. You can categorize your post and share it on Facebook as well. You won’t be able to add personal information such as your address, phone number or email address, since all communication will be done through the app. When you’re finished, click “Done.” You can then check your profile and see if your ad has been posted. It may take up to 40 minutes for it to appear. If your listing does not appear by that time, it’s likely because you tried to list a prohibited item. 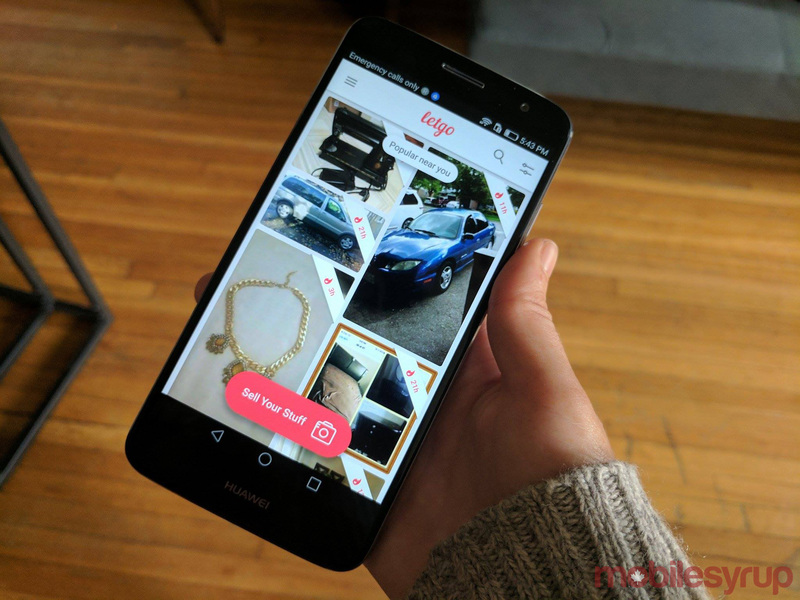 While LetGo allows you to sell most items, some are not allowed. Examples of these include adult content, drugs, alcohol, food, animals, weapons, services (such as job postings), used cosmetics, breast milk and lottery tickets. If you repeatedly list the same item for sale, your post may be deleted that way as well. If neither of these situations apply and your ad is still not coming up, go to the “Help” tab and contact customer support for assistance. Once your item is listed, you use the app’s message feature to chat with the potential buyer. The buyer can make an offer, ask questions or arrange to meet with you. You will receive emails when you have new messages. The payment process is in your hands. LetGo does not process payments or offer refunds, but recommends you use cash or PayPal. Be wary of wire transfers or personal checks, which are often used by scammers. Like LetGo, OfferUp also allows you to buy and sell items locally. OfferUp has just 12 million users, which is less than half of LetGo’s user base. However, it is still a heavy hitter in the online classified space. In fact, consumers spend about 25 minutes per day on OfferUp – the same amount of time they spend on social media sites. Many people find OfferUp to be easier to use than LetGo. You can place an ad in as little as 30 seconds. Every user – buyer or seller – has a profile complete with ratings. Like LetGo, the app uses a messaging platform so you can communicate with others without giving out your personal information. To buy or sell items on Offerup, you must first download the app, which is available for both Apple and Android. Enter your ZIP code and click the camera. If you sign up through Facebook, the process is much easier. If you want to sell an item, take a picture and upload it. You can add up to five photos per listing. Input a title and select a category and condition (new, used, refurbished, etc.) You can also add a description. Next, input your asking price. You can select “firm on price” if you’re not open to negotiation. Once you’re done, it’s ready to post. You can opt to share your listing on Facebook as well. You’ll receive an email from customer service, who will send you a message along with a link to OfferUps’s FAQs page, which may come in handy if you’re a new user. You don’t get this kind of service with LetGo. If buyers are interested, they’ll contact you through the in-app messaging system. Buyers and sellers have ratings, so you can view the buyer and see if he or she is reputable. Like any platform, though, you’ll get replies from buyers who aren’t really serious, but this is to be expected. 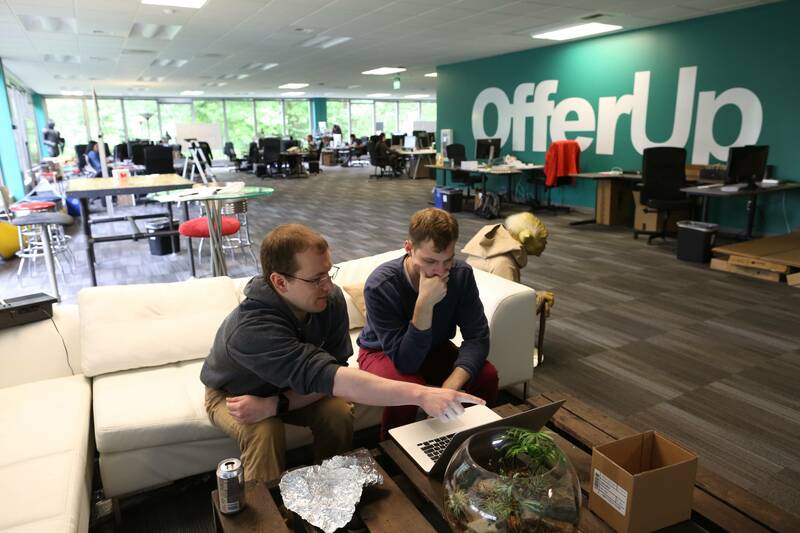 In some areas, Offerup offers in-app payments, which allows buyers to pay via a credit card. For the most part, though, it is recommended that you meet up with the buyer in person, make sure they are happy with the item and accept payment in cash only. You can also use PayPal if you wish. OfferUp receives no fees from your sales, unlike eBay. If you want to buy items on Offerup, scroll through the photos. If you’re interested in something, contact the seller through the messaging system. If the seller is reputable and interested in your offer, make an appointment to meet up. Be prepared to pay for the item in cash. You have now seen how OfferUp and LetGo work, so which should you Choose? Both are pretty much the same in terms of the process. Both are easy to use and take just a couple minutes. Some users prefer the customer service with OfferUp, while LetGo is safer and the more popular app of the two. Overall, if you’re looking for an alternative to Craigslist, both OfferUp and LetGo are viable alternatives. You may still get spam emails from supposedly interested buyers, but that’s going to be common no matter which platform you use. They are free to use, so why not try both and see which one gives you the better results? Don’t continue to hold onto clutter in your home. Now’s the perfect time for spring cleaning, so if you have some unwanted stuff, choose one of these apps and start earning some cash today. There are tons of scammers out there . Deal in person and get paid with CASH . No paypal , no check , no shipping out . Be careful !